We encourage you to learn more about the exciting happenings in downtown Alexandria today, such as the new Coughlin-Saunders Performing Arts Center on 1202 Third Street, built on the site of the old Wellan's Department Store. 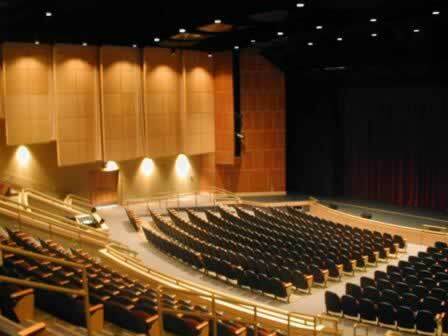 This beautiful facility, opened in 2004, features a 615-seat state-of-the-art theater, and is owned by the City of Alexandria Louisiana and operated under contract by the Arts Council of Central Louisiana. The Arts Center is the location of concerts, plays, recitals, ballets, dramas, musicals, Rapides Symphony Orchestra performances and a wide variety of cultural events and performing arts. The facility, and its lobby, can be rented for receptions and special events by businesses, schools, churches and other groups. 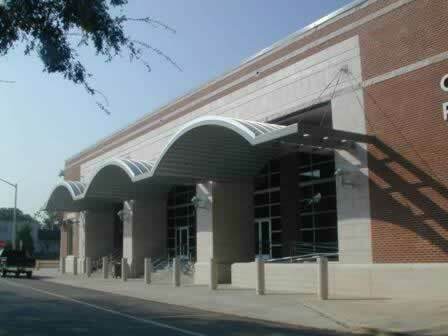 Witsell Evans Rasco Architects of Little Rock, AR was the lead design firm. Ashe Broussard Weinzettle Architects of Alexandria consulted on the design, produced the construction drawings, and oversaw construction. Ratcliff Construction of Alexandria constructed the building. The primary developers of the project included the Cultural District Task Force, Arts Council of Central Louisiana, Rapides Foundation, Coughlin-Saunders Foundation, and the City of Alexandria. Thanks to Kevin Broussard of Ashe Broussard Weinzettle Architects of Alexandria for providing the images shown below. The firm is located at the corner of Jackson Street and 3rd Street, across from the Bentley Hotel. 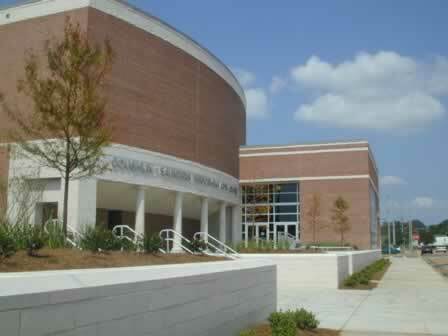 The Coughlin-Sanders Performing Arts Center is part of a thriving arts community in Alexandria. Other groups and venues we highly recommend are the Louisiana History Museum, the Alexandria Museum of Art, River Oaks Square Art Center, the Arna Bontemps African American Museum, the City Park Players, the Rapides Symphony Orchestra, and the Red River Dance Theater Company. 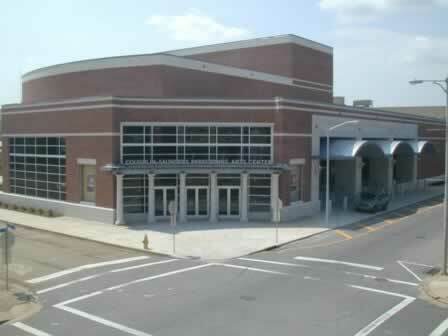 Visit the Coughlin-Saunders Web site to access box office information, parking information and the calendar of upcoming events at this beautiful new facility!